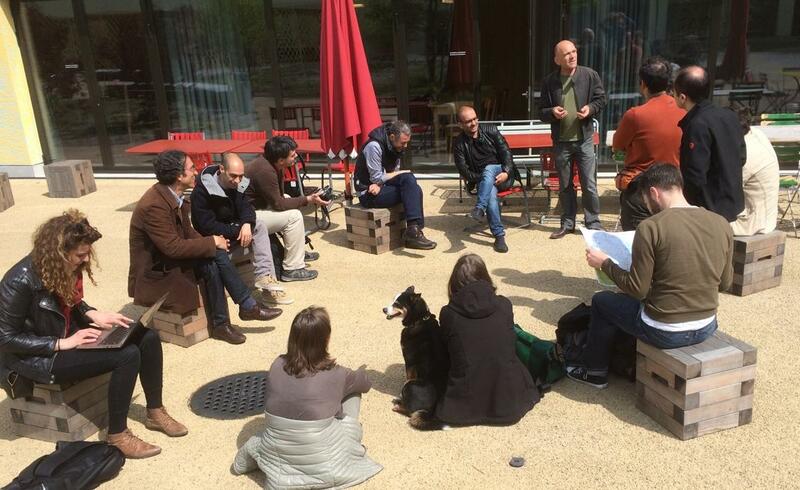 In April 2015, a diverse group of researchers and activists visited Zurich for a three-day symposium organized by the project COMPARE - Interdisciplinary explorations of self-organizations in practice. One of the main case studies chosen was the "young" cooperative housing and living projects in Zurich, which are built according to the o500 principles. What follows is the part of the symposium's report that summarizes the outcome of our two guides visits at Kraftwerk1 and Kalkbreite (see photo above). 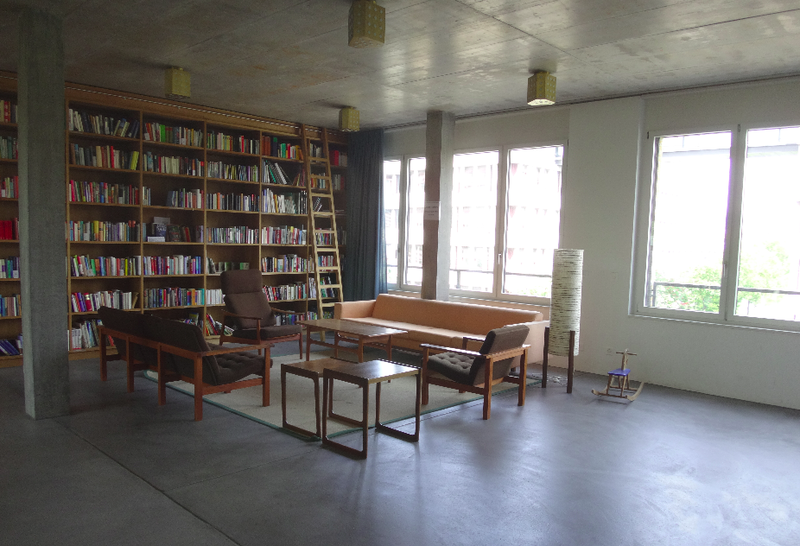 Kraftwerk1 is a cooperative and grassroots housing and workspace project with three settlements located in and around Zurich. It started as an experiment in the real estate crisis of the 1990s, departing from the vision of a worldwide movement of appropriation of former industrial areas, toward shaping “a new civilisation beyond work.” Kraftwerk1 became a collective, self-organized, environmentally and economically sustainable urban alternative, within a mix of residential, social and commercial spaces. The first development was completed in 2001 and is housing around 270 people in 81 residential units (suites) of various compositions and sizes, from individual housing to collective living (2 to 13 room suites), which are self- financing and define their own social structure. Additionally, more than 100 people work in small businesses of all kinds in the building complex. A restaurant (14 gault millau points), a hair-salon, a self-managed shop and a kindergarten are some public services provided in Kraftwerk1. 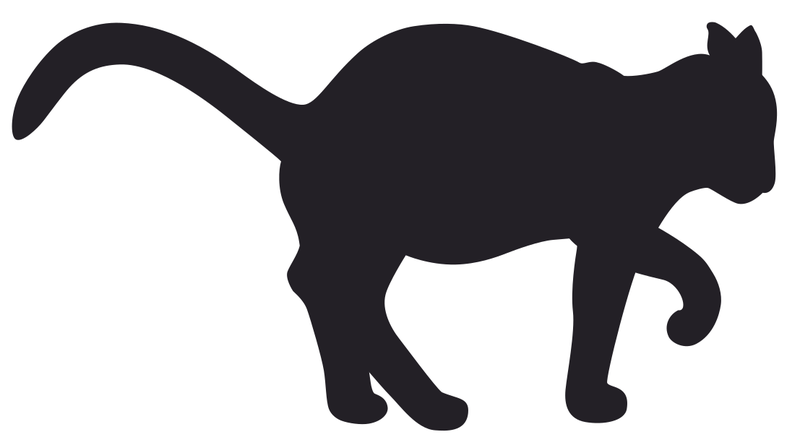 As Kraftwerk1 was not supposed to become an island disconnected from its larger context, there are multiple ways in place to connect it with the city, the outside economy, and the countryside (e.g., through exchange of agricultural or industrial products). Its members maintain a direct link with farmers in the proximity of Zurich, through food supply and temporary commitment on the farms. For visitors, there is guest room provision, and the commercial and office spaces on the premises establish further networks. Through the process of development and (daily) living, Kraftwerk1 contributes to the renaissance of the traditional cooperative movement in Zurich. Its members developed environmental standards, operational concepts, and collaborative activities in dialogue among themselves and the elected cooperative bodies. 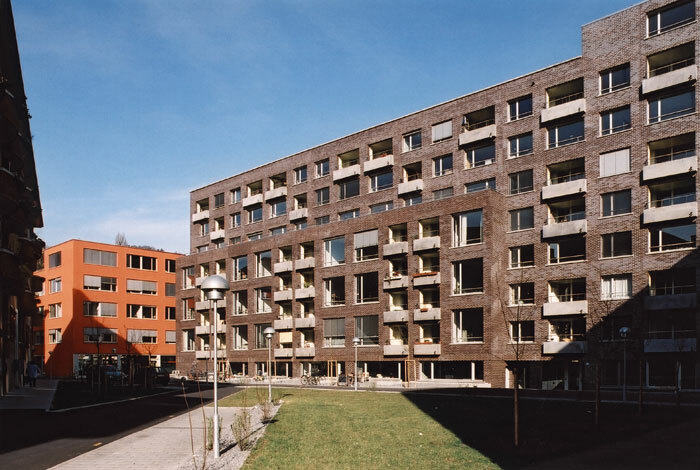 The Kraftwerk1 cooperative expanded in 2012 with a second settlement providing space for 85 inhabitants, including flats for disabled people. In 2015 another settlement will be inaugurated in the proximity of the Zurich Airport for 240 people living and 90 working. 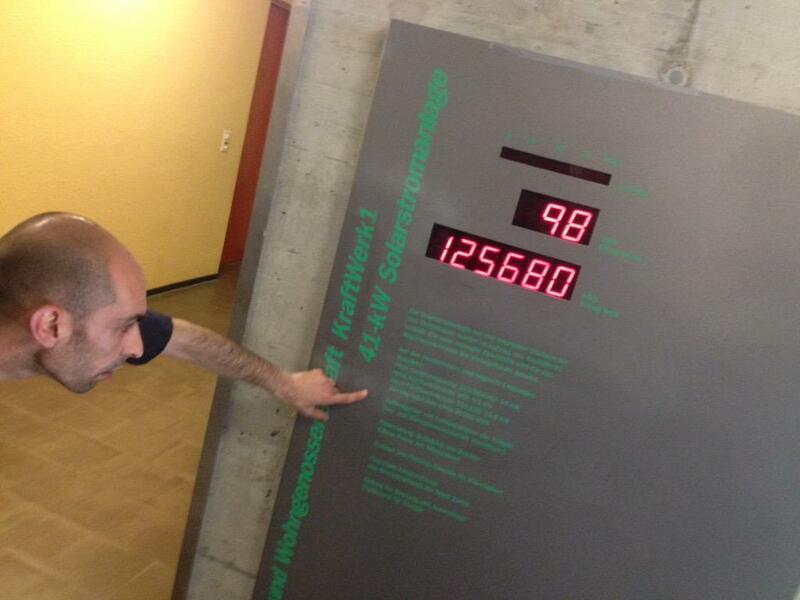 More cooperatives in Zurich based on similar ideas are: Mehr-als-wohnen, Kalkbreite, Wogeno, NeNa1, and more. During the COMPARE symposium, Andreas Wirz gave a keynote talk on the history of the cooperative movement in Zurich, today around 20% of flats in Zurich belong to cooperative housing projects, and answered many questions on the legal, political, cultural, and social dimensions of this very interesting case study on self-organization. The main lesson learned is that there are many benefits, both economic and social, from sharing the ownership of housing (e.g., low rents, feelings of solidarity and support), but also through the efficient shared use of common spaces (e.g., living rooms, guest rooms, kitchen) and facilities (from washing machines and dryers to expensive but rarely used objects), and the principles of self-help and self-management. Such sharing and sustainable lifestyle is re-inforced by specialized architectural design, especially in “young” cooperatives such as Kraftwerk1 and Kalkbreite, but also through various rules such as, the no or very limited use of cars, the redistribution of flats after big demographic changes (the birth of kids, separations, etc.). The natural question that arose during the discussion was under which conditions this cooperative housing model could be transferred to other counties like Greece or Italy and why there are not notable examples in such countries despite the obvious benefits. There seemed to be consensus that although there are special economic and political conditions that facilitate the adoption of this model in Switzerland, it is mostly the cultural differences that make the appropriation of the model difficult. For example, in Greece there is a culture of “owning” instead of “renting” houses and perhaps it is not a coincidence that in the Italian part of Switzerland the cooperative model is not so popular as in the German part. One of the objectives of o500 is exactly to explore possible ways to abstract from these success stories the most important elements that can be easily appropriated and adapted in different contexts while keeping the main principles intact. 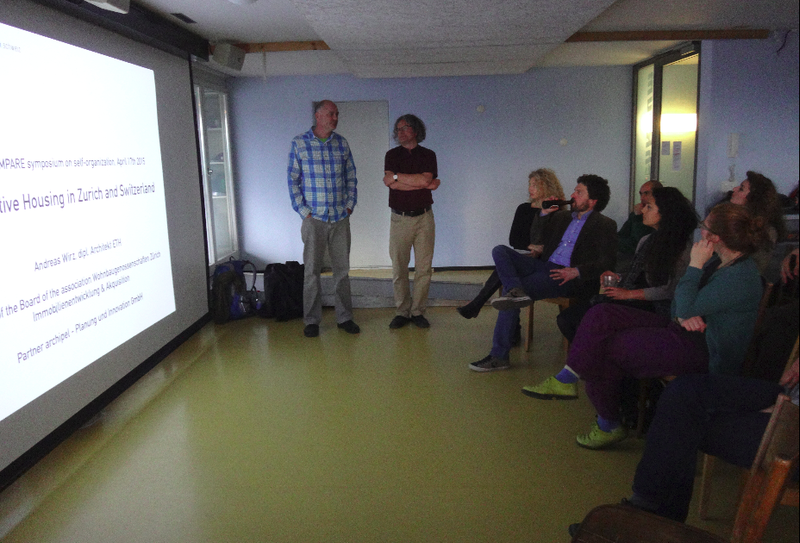 The next guided visit took place at the Kalkbreite cooperative where some of the symposium participants were hosted. 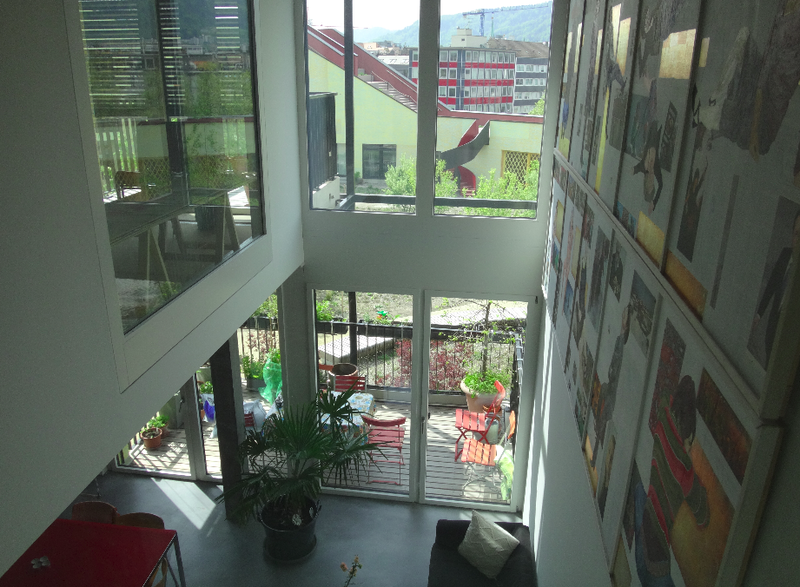 Genossenschaft Kalkbreite is the newest housing cooperative in the city core of Zurich. 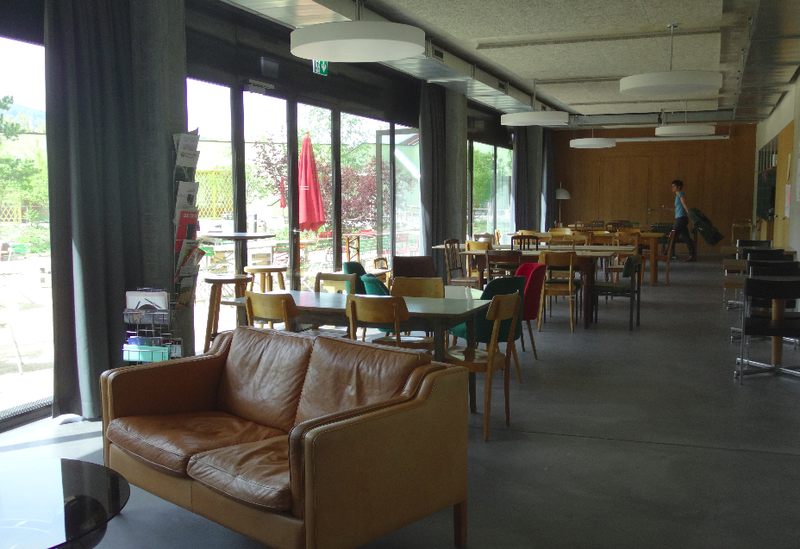 The mixed-use development is the material consequence of a decade-long political process, which follows the cooperative housing tradition in Zurich, and the new movement of cooperatives for sustainable lifestyle in cities that started with Kraftwerk1 (see above). Kalkbreite aims to lay out a social, economic and ecological response to the current multiple crises in Europe, and stands as alternative to a solely profit driven commercial use, the typical choice for city center development. The site selected for the project is a former tramway repair shop in Zurich-Aussersihl that was replaced currently by a tramway depot, over which is unfolding the new mixed use. The spatial program is based on principles of flexibility and modularity, and the materialization of its conception is the result of a design competition (design by Zurich-based firms of Müller Sigrist Architekten AG with landscape architects HAAG.LA, and engineering by Dr. Lüchinger + Meyer Bauingenieure AG). At present it hosts 256 inhabitants in various residential arrangements (89 units) that accommodate a relatively wide social diversity, including disadvantaged groups, and also 5,000 sqm of shops, restaurants, offices, studios, and the Houdini movie theater. For residents there are various common spaces for meetings and interaction like the Foyer, a cafeteria, a laundry-salon, a bed-and-breakfast with twelve rooms, office working places, conference and sitting rooms. Among the novel housing forms are the individual studios with kitchenette clustered around a shared space including a larger kitchen - in the cooperative there are three such clusters, twenty large households for about fifty residents who maintain a common professional kitchen, dining and living space, and also other types of large apartments. There are possibilities for exchanges and permutation within the residential arrangements or for commercial uses, through what is called Joker-spaces that are spread throughout the building and could be rented for a limited timeframe. 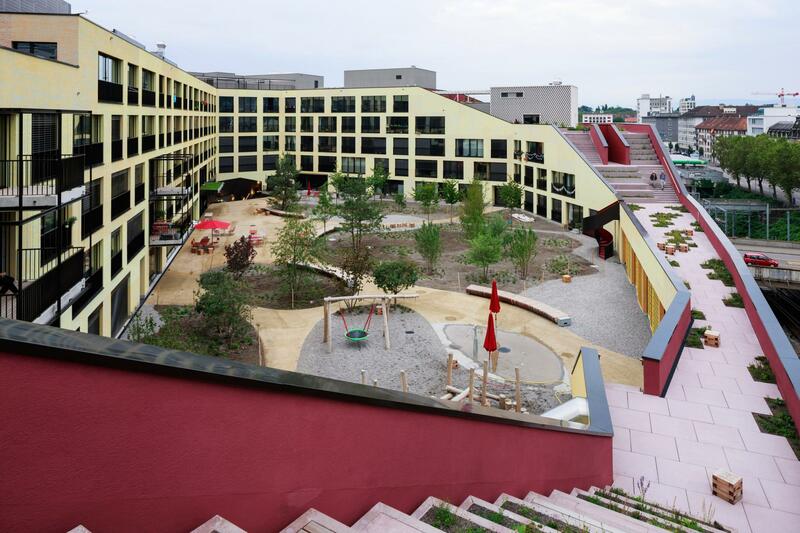 The continuity of circulation flow within the housing cooperative is realized through internal horizontal connections -"rue intérieure"- and outdoors through roof terraces and stairs that lead to the public courtyard / garden built over the tramway depot. This common courtyard is part of the urban green system and is open to the general public. A service center located in the entrance area operates and maintains the entire system, functioning as an information and coordination hub in Kalkbreite. Measures toward sustainable urban lifestyle are practiced through minimal energy consumption and through the car-free condition; through limiting the space consumption (average of 35 sqm/resident) and insuring an affordable rent; as well as through the participation of the cooperative members in the planning process. In addition to a bike parking for 300 bicycles, Kalkbreite benefits of a central location in proximity to multiple city services, including good public transport connections. Being built according to the Minergie-P-Eco-Standard the building requires little heat supply, which is generated by a groundwater heat pump, and targeted measures on the electricity and water consumption minimize the consumption in the apartments. In its urban context the civic presence of Genossenschaft Kalkbreite, or Chalchi, is a catalyst for change, one more step within the ongoing project for collective living within the crisis, and proposing a model of everyday citizen activism for sustainable urban life. At present the cooperative is planning the second project Kalkbreite 2 on former railway land in Zurich Kreis 5.